«  It is time to ACT NOW! On the other hand, this morning the public prosecutor asked for prosecution of 8 members of Solidarity Initiative and all of the hunger strikers, but also the University of Athens director, for supposed material damages of the Law University, and breach of peace, which is total indefensible and rediculous. 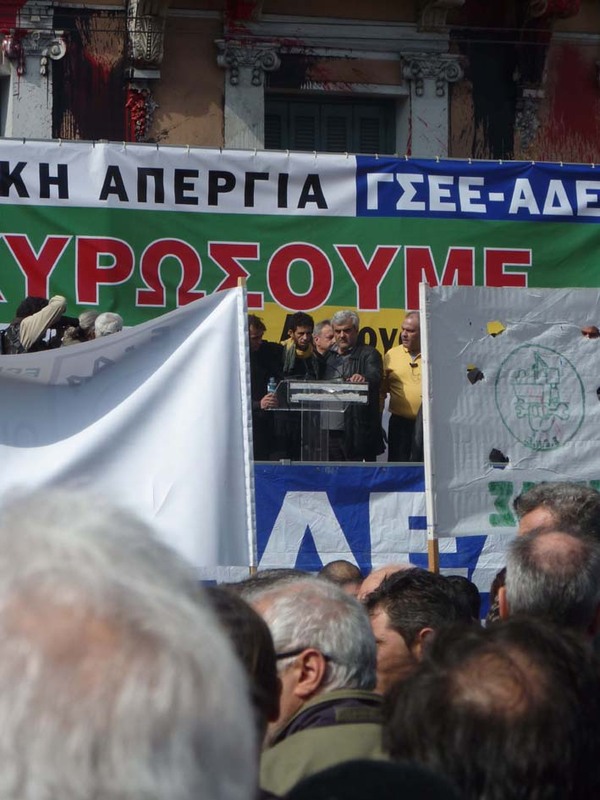 The solidarity is increasing involving thousands of people, and a transnational wave of support messages by intellectuals, artists, parlamentarians and europearlamentarians, activists, and brought together a broad political spectrum of the local left. 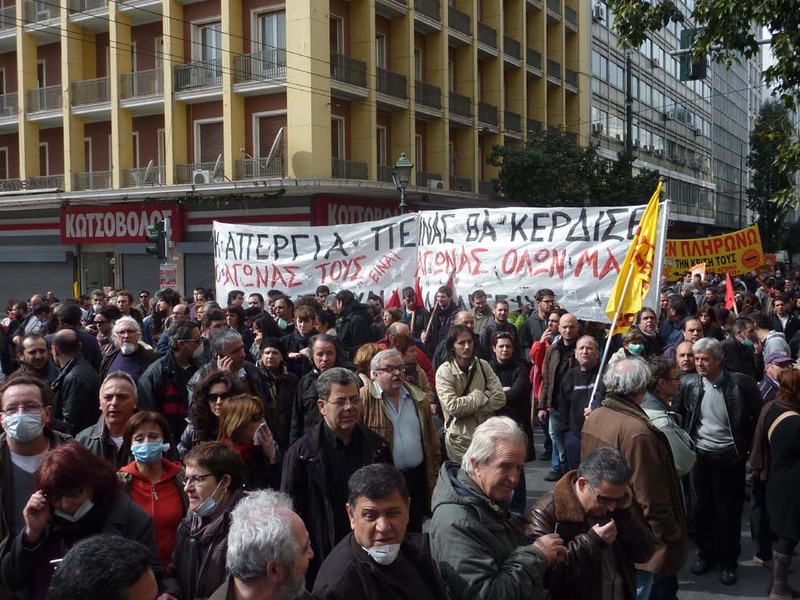 Now it is the time that any kind of pressure to the greek government is needed. 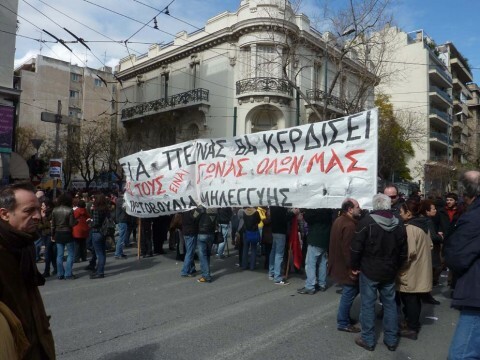 e-mail and fax bombing, articles in blogs, alternative and mainstream media, actions on greek embassies, etc. see also here. The 300 migrants (250 in Athens, 50 on the 7th floor of the Labor Centre in Thessaloniki) have been on a hunger strike for 31 days now. They are living strictly on water and small quantities of salt and sugar. They have entered a phase in fasting, in which they are being directly threatened by irreversible damage to their health. 4 of the 5 hunger strikers who were admitted to hospital for fainting two days ago, are still being hospitalized (3 at the Aghios Demetrios hospital, one at the Hippocration). Members of the Solidarity Initiative who accompanied them to hospital mentioned that the strikers were being offered food by the nursing staff, despite the fact that it had been made clear to them that the strikers refuse to be fed. The head of the ward replied that she was following the orders of the Director of the 2nd Internal Medicine Division to bring food to the strikers’ rooms and leave it there for half an hour. The Solidarity Initiative condemns this act as a breach of human rights and as psychological torture and will consider what action to take in response. The medical health team is calling a Press conference on Friday, February 25 at 11am at the Labor Centre of Thessaloniki in order to inform the public about the emergency health condition of the hunger strikers. 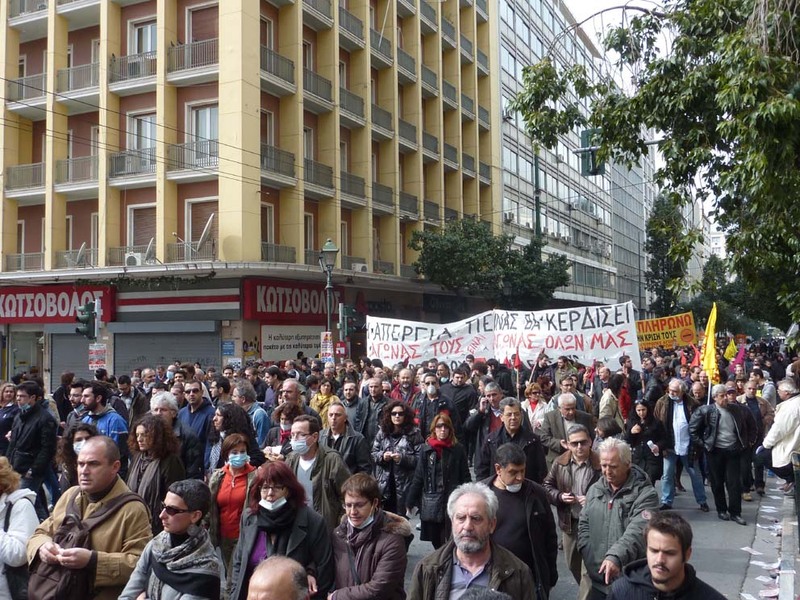 Yesterday, the Open Solidarity Initiative of Thessaloniki marched the streets of the town as part of the general strike rally. The massive bloc of the Solidarity Initiative was reverberating with slogans for the legalization of all immigrants. It should be noted that the representative of the hunger strikers spoke at all three meetings before the demo (i.e. the meetings of the Workers’ Front-PAME, of the Labor Centre, and of the First Degree Unions). The bloc of the Open Solidarity Initiative faced an unprovoked and uncalled for attack by the police, which injured demonstrators. 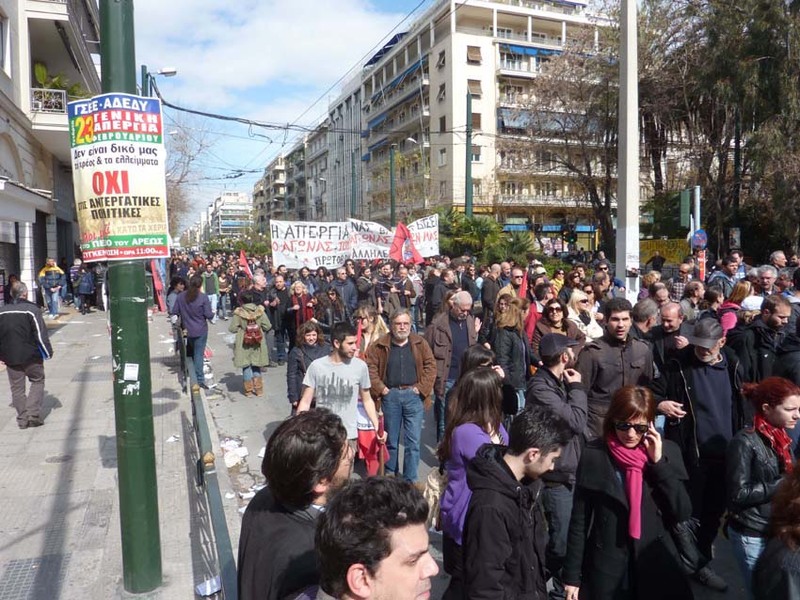 The demonstration continued despite the repeated efforts by the police to dissolve it. During the march a student was beaten up and arrested by the police. 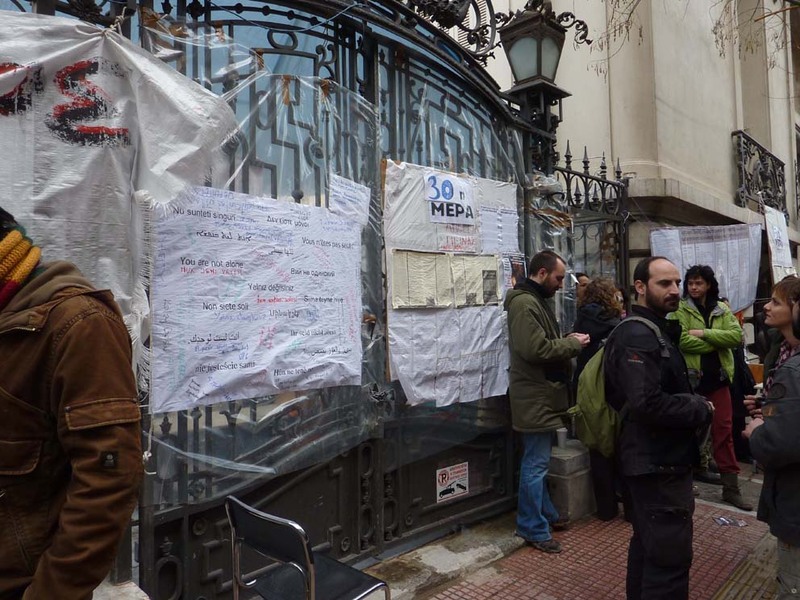 The demo continued to the General Police HQ and this morning there was a protest meeting, with the participation of the Open Solidarity Initiative, outside the Courts, where the arrested student would be tried in flagrante delicto. The student was released and will be examined by the DA tomorrow. Who provokes violence? The image of a riot police officer with an axe in his pocket (a photo from yesterday’s attacks that has circulated widely) is the best answer to the question.